Throwback Thursday....I saw this linky and thought it would be fun to participate. Check out all the other participants at Mrs. Carroll's First Grade Parade! 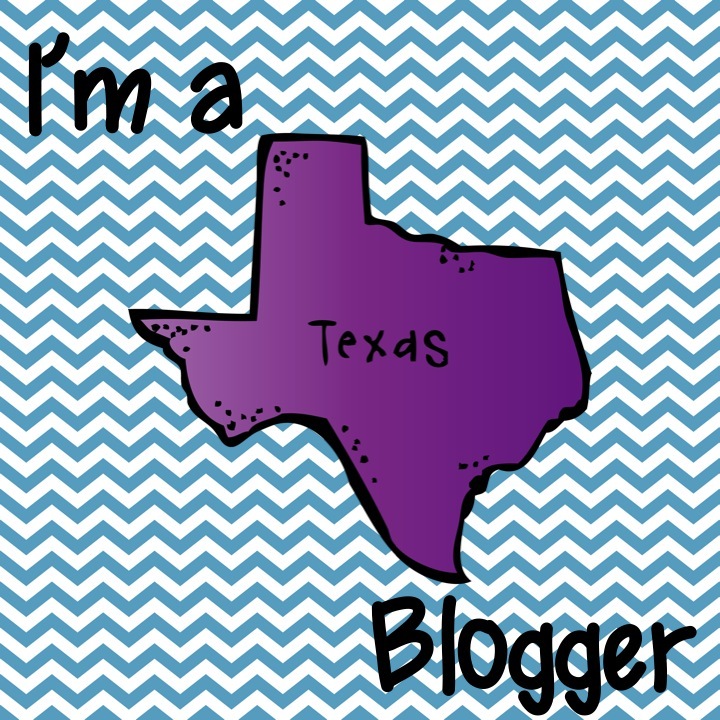 Here is a "throwback" post from back in the day (well, when I started my blog two years ago - July 2011). There are no cute pictures but it does have a useful freebie. As teachers, we get to know our students pretty quickly but we don't always get to know the parents right away. 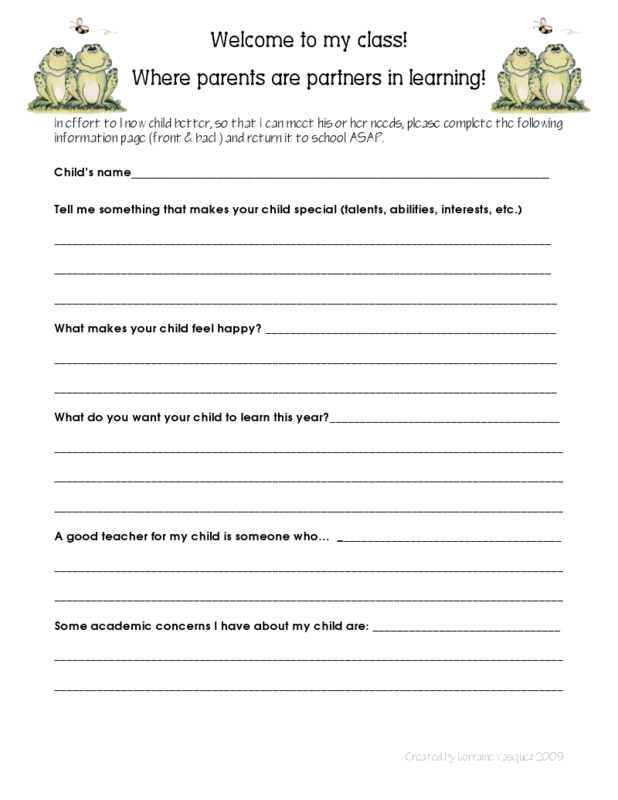 I use this questionnaire I created to send home on the first day of school (or sometimes on Meet The Teacher Night). 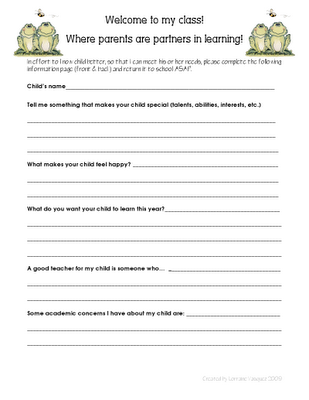 Not only does this help me get to know my student's needs better, but it gives me an insight on the parents or guardians. The first question asks what makes your child special. I've had answers from... "nothing, my child is normal just like his friends" to "My child has 27 trophies in dancing, has always been the smartest in her classes since kinder, takes painting classes, plays soccer, is in girl scouts...." and everything else in between. There is no right or wrong answer for this question but you can learn a lot by the answers.